Office 365 Collaboration Tools: What to Use and When? 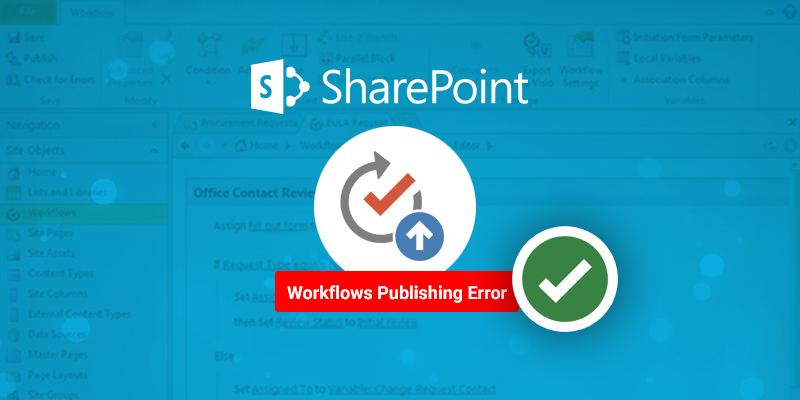 In this article the issues "Error: App Management Shared Service Proxy is not installed " or “Error: Microsoft.SharePoint.SPEndpointAddressNotFoundException: There are no addresses available for this application” encountered while publishing a SharePoint Designer workflow to SharePoint 2016 has been addressed. The workflow is saved but could not be published. 2. Click on "Application Management" in the quick launch bar. 3. Click on "Manage Service Applications" available under the Service Applications section. 4. Check whether the App Management Service application is created, if not then create the App Management Service application. 5. Click on "Application Management" in the quick launch bar. 6. Click on "Configure service application associations" available under the Service Applications section. 7. Check whether the App Management Service proxy is added to the default proxy group, if not then add it to the default proxy group. 8. Click on "Application Management" in the quick launch bar. 9. Click on "Manage services on server" available under the Service Applications section. 10. Check whether the App Management Service is started, if not then start the service. Now restart the IIS and try to publish the workflow. Though the workflow is saved but it cannot run yet due to the error. This error is due to the workflow service not being registered for the Site Collection.